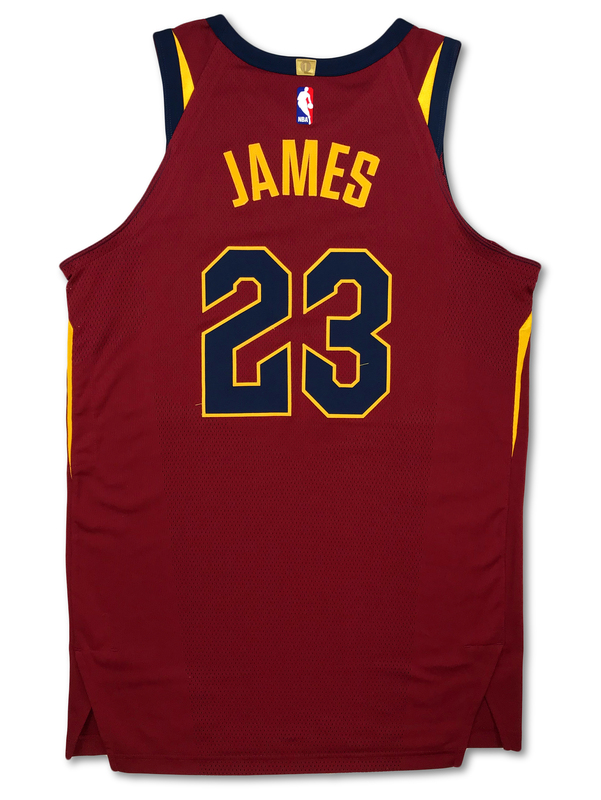 Presented is a LeBron James Cleveland Cavaliers #23 road jersey that was worn by James. 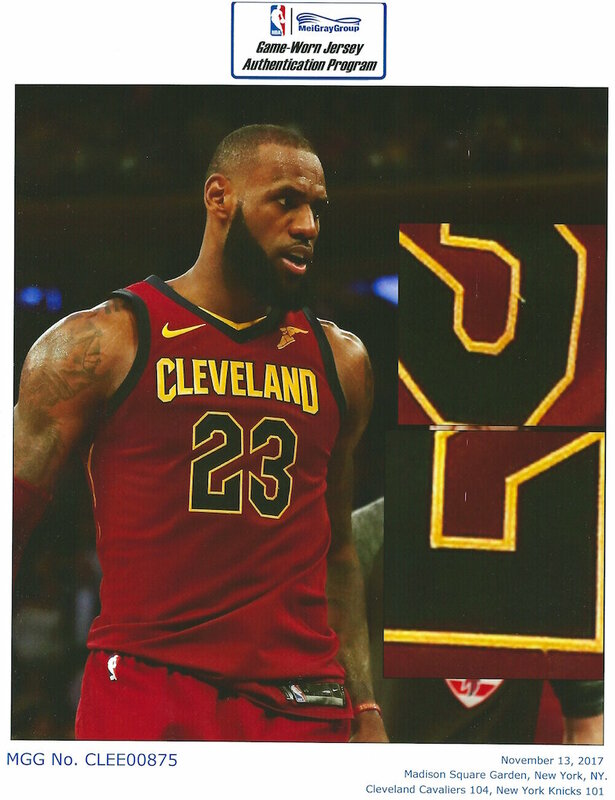 The jersey is photo matched to a contest versus the New York Knicks at Madison Square Garden where LeBron escorted his team to a 104-101 victory by piling up 23 points, 12 assists, 9 rebounds and 3 steals (one rebound short of a triple double). The contest was highlighted with highlight dunks from LeBron and heated exchanges between LeBron and Enes Kanter which were both featured on sports news stations nationwide. 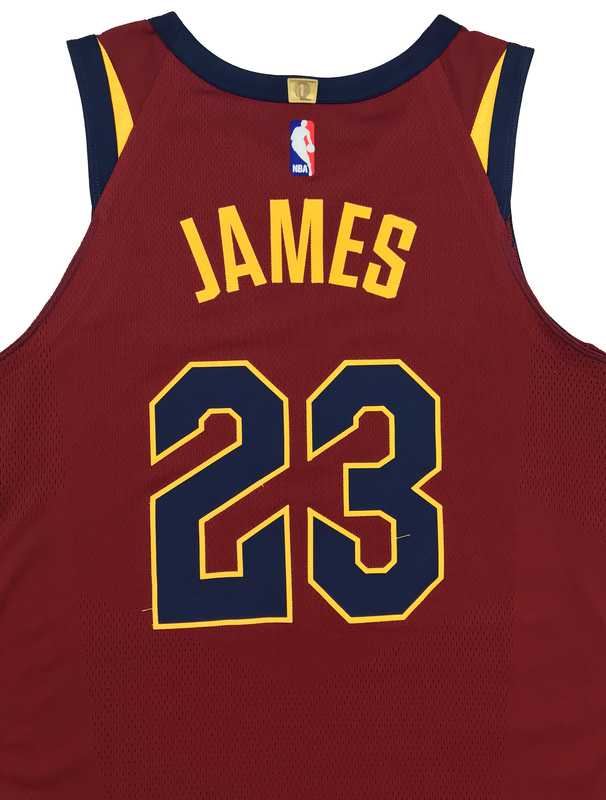 The jersey shows game use with loose threads and light fraying in the armpit areas. 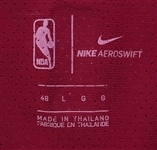 This Nike jersey is a size 48 (+4 inches Length) and is registered in the NBA Authentication database as number "CLEE00875" which can be seen on the tag that is to the left of the size tag on the front tail of the jersey. 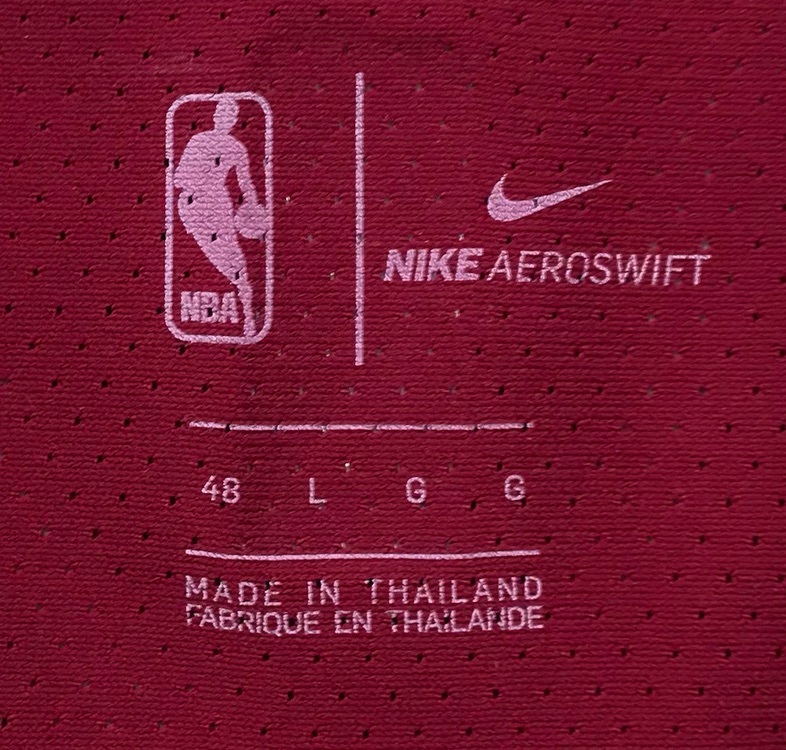 The NBA Authentics Nike size tag has a handwritten "11/13" which indicates the date that the jersey was worn along with the serial number "S41413459". 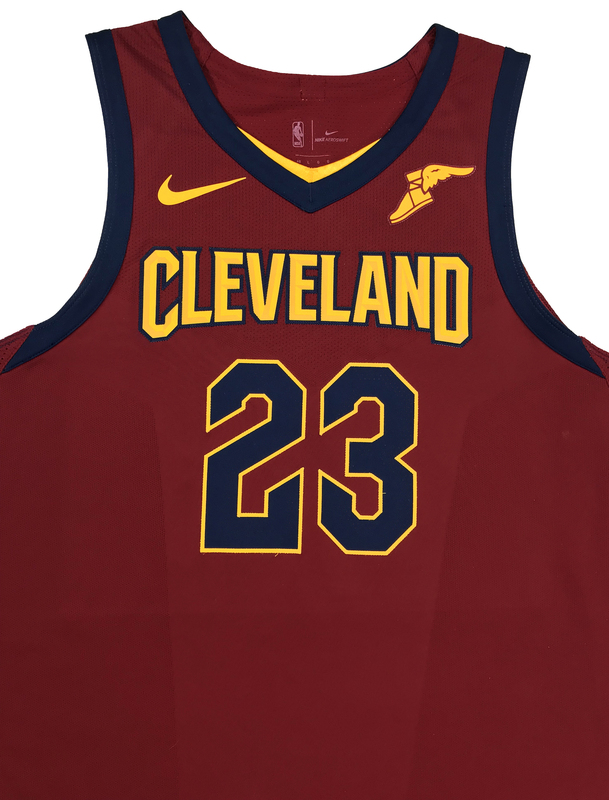 The jersey has a number of unique design touches which include all sewn on lettering and numbers, the "ALL FOR ONE. ONE FOR ALL." team mantra sewn on the front tail, and a gold championship logo that reads "1" on the rear collar of the jersey just above the NBA logoman. 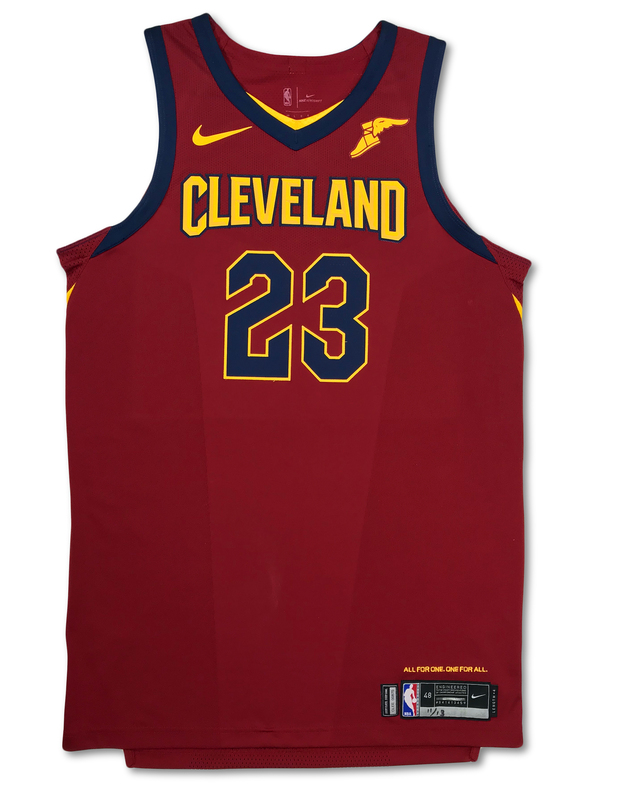 This is the first year that LeBron has worn this amazing sleek new style jersey and if he decides to find a new team this would be one of the rarest style LeBron jersey to ever be offered. 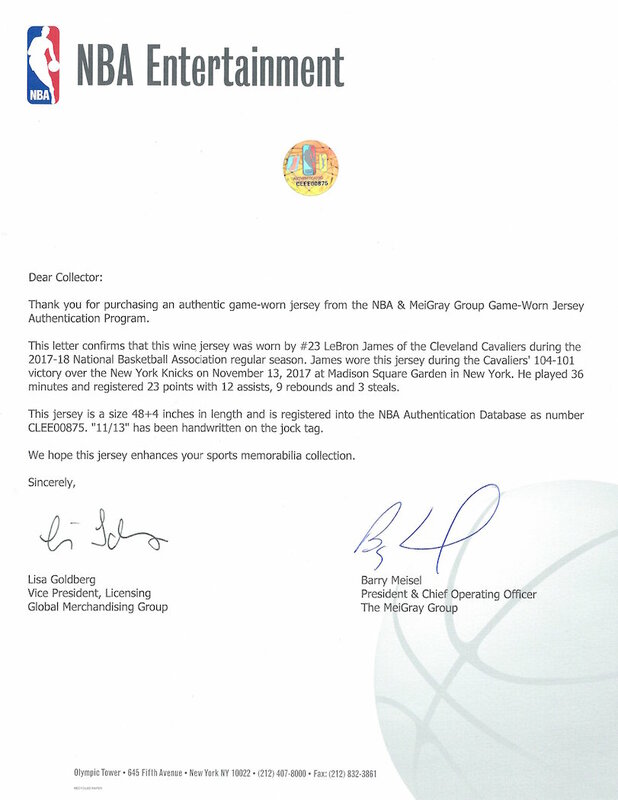 The only other LeBron jersey from the 2017-18 season to be offered in public auction sold for $45,000.